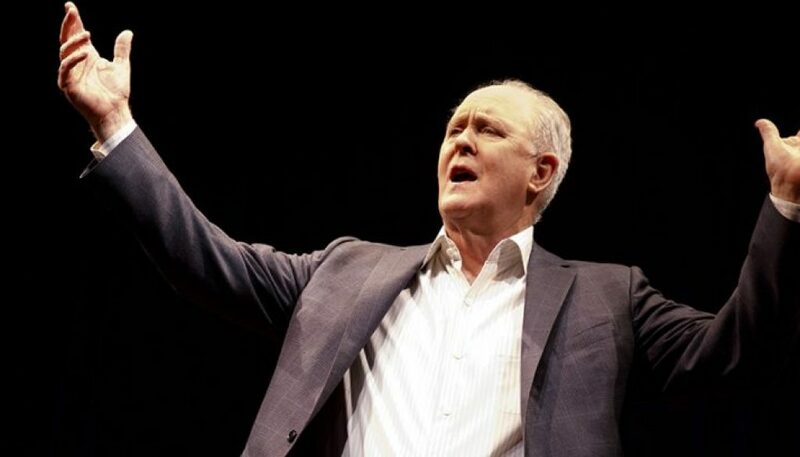 For many a theatergoer, John Lithgow, the much beloved 72-year-old actor, could read from the phone book and his legion of stalwart fans would gift him with countless oohs, ahs, and a standing ovation. 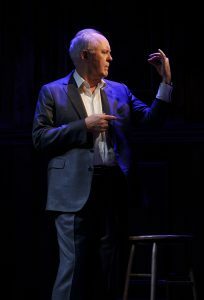 In fact, given his four decades long award-winning film and TV appearances – six Tonys, six Emmys, two Golden Globes, four Grammys, and two Academy Award nominations for “The World According To Garp” (1982) and “Terms of Endearment” (1983) – all Lithgow would have to do is walk across the stage and he would be greeted with a tsunami of applause. This is exactly what is happening every night at Broadway’s American Airlines Theatre where he is performing his one-man show Stories By Heart through March 25. Mercifully, leaving his phonebook home, the ever-charming Lithgow gives us a couple of classic short stories, both taken from “Tellers of Tales,” a 1939 anthology edited by W. Somerset Maugham, the best way he knows how by acting them out. In “Haircut,” a two-character tale written by Ring Lardner, Lithgow plays an extremely talkative barber giving a haircut, along with a cascade of small-town gossip, to a near-silent customer. In “Uncle Fred Flits By,” a rollicking British story by P.G. Wodehouse, the versatile actor gets to impersonate, British accents and all, a slew of idiosyncratic characters. For the record, a one-act version of Stories By Heart was performed at Lincoln Center in 2008. Since then, in between countless other engagements, Lithgow has honed these stories to a fare thee well for ten years. 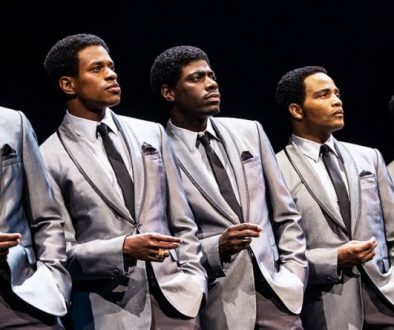 Prior to this Broadway production, he has performed these stories in 35 American cities, an experience, as he tells us during personal asides, which allowed him to visit cities, most of which he never ever thought of visiting. Each story, nearly a century old, was first read to Lithgow and his two brothers and one sister by their showbiz father some sixty plus years ago when they were growing up. As Lithgow relates, it is these same stories which he read to his father who had recently undergone a life-saving operation more than a half-century later; an act that miraculously restored his father’s will to live. As for me, and I imagine many other avid readers, whether being introduced or reintroduced to Ring Lardner and P.G. 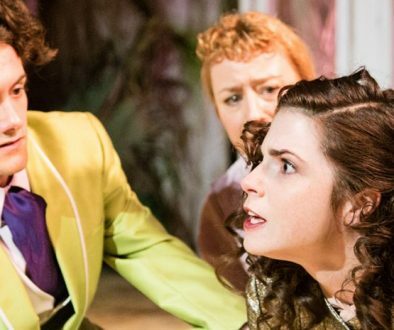 Wodehouse, Lithgow’s performance will have us searching the shelves of local libraries and bookstores, or contacting Amazon, to follow up on this actor’s literary gift. In this respect Lithgow’s performance is educational. The most demanding, and least enjoyable of the two stories being performed is “Haircut.” The lack of any real action and few truly suspenseful events to keep our eyes moving and our minds invigorated, coupled with a torrential raining of words is something of a strain on our ears. What does keep any interest that we might have is watching Lithgow’s exacting pantomime of an old-fashioned haircut, as he relates the story of various towns’ denizens to his customer. Here Lithgow, brilliantly miming every physical hair-cutting and face shaving movement and possible instrument sound without the use any props like scissors, combs, brushes or sprays, engages our imagination to its fullest. Most enjoyable in this presentation (in fact, I actually waited for it to appear again and again), is his joy-triggering, high pitched, long-drawn giggles which he uses intermittently throughout this monologue. Still, and no doubt about it, to get the full blast of Lardner’s satirical style, “Haircut” is a lot better read than theatrically said. It is P.G. 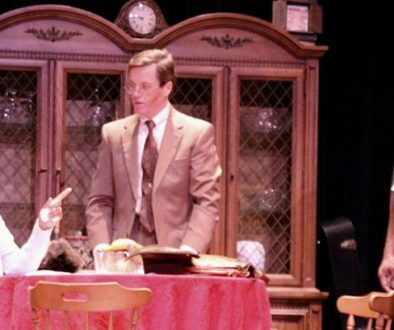 Wodehouse’s story – one of the most widely read humorists of the 20th century – “Uncle Fred Flits By,” the second of the two stories presented, which elicits cascades of laughter from the audience. Here, energetically hopping about John Lee Beatty’s sparse set, a chair, an end table a glass of water and a book, Lithgow gets to inhabit a panoply (some ten or so) of zany characters in an even zanier story. The two main characters of the story are Pongo Twistleton and his aristocratic uncle, Lord Ickenham whose outrageous behavior grows by leaps and bounds in the most unexpected ways and has us in stitches. 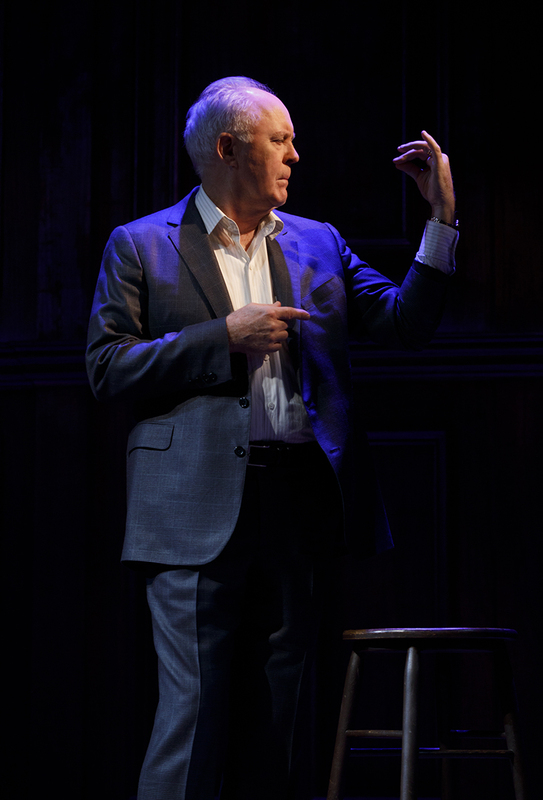 It is the reading of this very story, as Lithgow tells us before he embarks on its performance that brought his father back to life. Let it also be said that it is this very same story that allowed the audience to leave the theater amidst gales of laughter and a double gross of good feelings.